Mixing narration pulled from the writings of those involved in creating the archive with contemporary interviews and historical reenactments, Grossman constructs a powerful portrait of Jewish life in Warsaw during German occupation. When it became clear to certain members of the community — like writer Rachela Auerbach and historian Emmanuel Ringelblum — that the Polish Jews were in danger of extinction, they began the Oyneg Shabes project. Members chronicled daily life in the ghetto, recording the experiences, thoughts, and fears of their family members, friends, and neighbors. The resulting papers were hidden underneath the streets of Warsaw until after the war was over; the Nazis killed so many of the contributors to the archive that its existence was at risk of being lost to history. But two of the three caches were found, and the incalculable riches they contained have been carefully preserved. As the story of the archive itself unfolds in Who Will Write Our History, actors re-enact key moments in its creators’ lives, infusing the film with urgency and tension. MaryAnn Johanson Roberta Grossman’s Who Will Write Our History is riveting, heartbreaking, and so important on so many levels: as untold and vitally necessary history primarily, of course. I’ve noted before the horror of the reality that no matter how many stories about WWII in general and the Holocaust in particular that we get, it still seems that we’ve only just scratched the surface of everything there is to say, and this film underscores that yet again. But the film is also, tangentially, an essential part of the conversation we’re having now about cultural representation. The Jews of Warsaw understood the necessity of telling their own story (in a preemptive strike against the “winners write history” reality that could so easily have happened, had the Nazis won the war). This is the same driving force behind the push to center the filmic storytelling of women, of people of color, and of anyone who doesn’t fit into the straight-white-cis-able-bodied “norm” that Hollywood (and the culture at large)recognizes. We all have to be given room and acceptance to the speaking of our truths, especially if they contradict the dominant narrative. Loren King What a perfect title for this heart-wrenching and necessary film. Who Will Write Our History written and directed by Roberta Grossman and executive produced by Nancy Spielberg, not only brings to light a vital historical event but resonates across space and time about what it means to bear witness. Read full review. 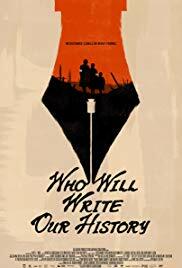 Sandie Angulo Chen: Who Will Write Our History is Roberta Grossman’s powerful and moving documentary about the courageous Jews of the Nazi-run Warsaw Ghetto who were themselves historians of their collective experiences while forced to live in the Ghetto. I’ve known about Emanuel Ringelblum, his organization Oyneg Shabes, and the Warsaw Ghetto Uprising since I was a high schooler fascinated with acts of resistance during the War. I’ve read Ringelblum’s journal, and several books about the Warsaw Ghetto. Because of my knowledge of the subject matter, I wasn’t sure how much more Who Will Write Our History would add to the vast material already available. Grossman’s documentary, which features a mix of interviews with Holocaust scholars, dramatized events, archival footage, and narration from various journals (read by Joan Allen and Adrien Brody), is a riveting and rich documentary that everyone interested in historical films should watch. The exploration of the Oyneg Shabes’ secret archives (which survived the war in various buried containers) provides a look at the everyday lives of the Polish Jews stuck in the Warsaw Ghetto. Although nearly all of the contributors were killed by the Nazis, their stories and voices continue to live on. Nell Minow: There is no better way to honor the endless courage and dedication of the writers and historians who created the Ringelblum Archive than to tell their story. They knew there was little chance they could survive the Nazis, but they hoped that their stories would survive. The records and artifacts they preserved with such hope are brought to life in this moving documentary. 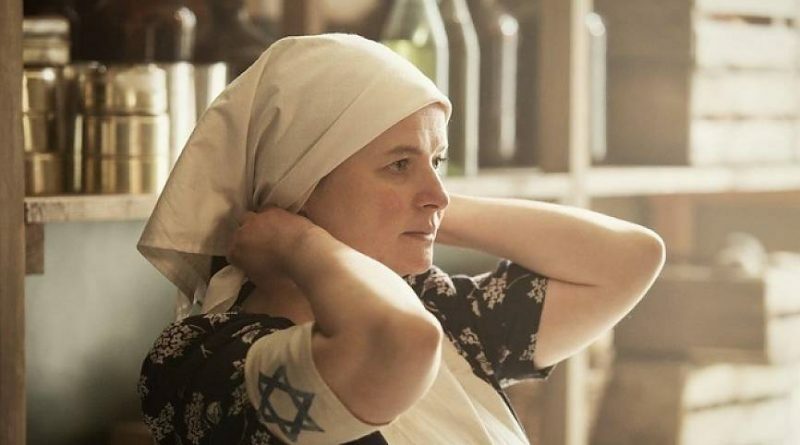 Sheila Roberts Who Will Write Our History, Roberta Grossman’s compelling documentary about Jewish life in the Warsaw Ghetto during World War II, combines historical footage with well-executed reenactments based on the recently discovered Oyneg Shabes Archive compiled by Emanuel Ringelblum. These eyewitness accounts of disaster and resistance, penned by courageous journalists imprisoned in the Ghetto, captured the daily tragedy of its inhabitants. By documenting their personal experiences, they let the witness be their writing. Indeed, writing became the only recourse for them to feel a sense of ownership of themselves. Beautifully narrated by Joan Allen and Adrien Brody using the original writings as text, the film is both timely in our current era of deceptive news and essential viewing for anyone interested in learning more about Holocaust history from those who lived it. The writings of Rachel Auerbach, in particular, offer valuable insight into the position of women in contemporary society back then. Marina Antunes Remembering past atrocities in order to ensure that history doesn’t repeat itself is always important but Roberta Grossman’s documentary, Who Will Write Our History, feels more urgent and important now, amongst the world-wide rise of racism among many other -isms, than ever before. Through the use of video and photography, extremely effective reenactments, and a wide assortment of talking-head interviews, Grossman’s documentary brings to life Samuel Kassow’s book and the Oyneg Shabes Archive, providing a new, heartbreaking view of life inside the Warsaw Ghetto before and during WWII while also highlighting the resilience of humans and the power of stories reminding us that words matter. Jennifer Merin Who Will Write Our History is filmmaker Roberta Grossman’s documentary revelation about Jewish life in the Warsaw ghetto during World War II. Based on a recently discovered secret archive of reports by ghettoized Jewish journalists, the film presents another essential chapter in Holocaust history. Acclaimed actors Joan Allen and Adrien Brody voice original writings over a mix of convincing reenactments and historical footage to present an affecting and contemplative viewing experience. Note that there is no question mark in the film’s title, yet that title does a pose a seriously appropriate question for us to ask amidst the current plethora of false and misleading information that bombards us on a daily basis. The release of this compelling Holocaust documentary is quite timely. Who Will Write Our History is a must see. Pam Grady: The various pieces of Roberta Grossman’s documentary relating the history of the Warsaw Ghetto–archival footage, talking head interviews with modern-day historians, and reenactments–don’t always fit comfortably together, but that doesn’t take away from the powerful gut-punch of the history it relates. Focused primarily on the Oyneg Shabbos archive compiled under the nose of the Nazi regime and describing both everyday life in the Ghetto and devastating murder and terror, the documentary provides a searing glimpse into Jewish life during the ongoing Holocaust as well as a memorial to historian Emanual Ringelblum, who spearheaded the archive, and Rachel Auerbach, a member Oyneg Shabbos who was instrumental in making the archive public after the war. The documentary’s archival footage, which chronicles Nazi atrocities along with declining conditions in the Ghetto, is devastating, as are Adrien Brody and Joan Allen’s narration as Ringelblum and Auerbach, giving voice to their writing. As a time when one-third of Americans are unconvinced that the Holocaust happened, this is a film that needs to be seen. Cate Marquis There has been concern that public awareness of the Holocaust is declining, particularly among younger people, which makes the documentary Who Will Write Our History timely now. Director Roberta Grossman’s moving documentary is especially well-suited to the task, as it focuses on a secret group in the Warsaw Ghetto, led by a Polish Jewish historian, who set out to create a history and record of Jewish culture, to counteract the version of Jewish life they saw Nazi propaganda creating. As the Nazis’ genocidal plans became clearer, the group’s record-keeping also became a trove of eye-witness accounts of atrocities. Read full review.